I am pleased to announce that my latest coffee table book is now available in stores throughout Canada and online for orders from around the world. 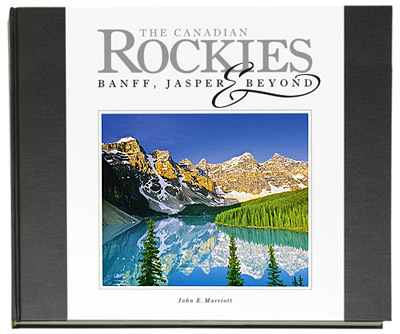 The newest title, The Canadian Rockies: Banff, Jasper & Beyond, comes in two different sizes, a large edition and a smaller travel edition. The books follow the same style and design of my previous bestsellers, Banff & Lake Louise: Images of Banff National Park, and, Wildlife of the Canadian Rockies: A Glimpse at Life on the Wild Side. Stay tuned for an upcoming slideshow feature on CanadianRockies.net that will show you sample layouts from my various books.